A triple-double is when a player gets to double-digits in three of the five categories in a game. The five categories are points, rebounds, assists, steals and blocks. The most popular way to get to a triple-double is through points, rebounds and assists. It is an incredible achievement and speaks about the overall game of the player, contributing in every way possible. Some great players might have a day-off and might not explode for 20 or 30 points, but can assist someone else score and if he cannot get it going on offensive end, he can get some rebounds ( offensive/defensive ) and contribute on the defensive end. While this is understandable, there are some players in the NBA who are known to consistently contribute in all the ways possible. They score a lot of points, get a lot of assists and rebounds. 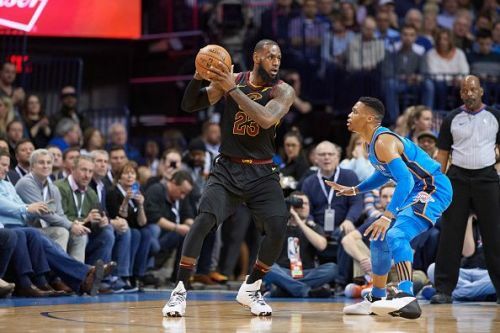 Getting to a triple-double takes a heavy toll on the body and the players need to have a lot of stamina and energy to be able to get there along with the overall skill and game vision. Here, we look at top 10 players on the list of triple-double leaders in the NBA regular season history. A 6-time NBA Champion, Bob Cousy played Point Guard for the Boston Celtics and was known for his excellent ability to make the teammates around him better. He was a 13-time consecutive All-Star. Bob led the league in assists for 8 consecutive seasons. He was known for his dribbling and passing skills and the home crowd cheered him with "Mr. Basketball" chants. 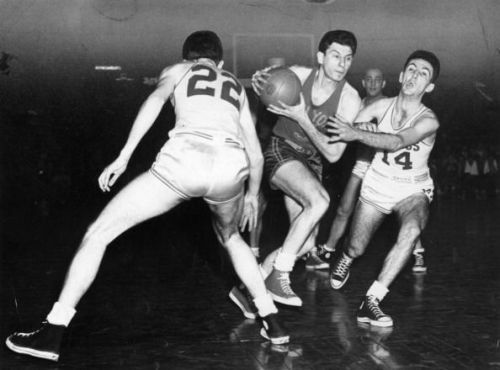 Bob Cousy won the MVP award in the 1957 NBA season. He was a 2-time All-Star Game MVP, 10-time All-NBA First Team and 2-time All-NBA Second Team. In his 13 full seasons, all with the Boston Celtics, Cousy scored 16960 points, 4786 rebounds and 6955 assists. While it is understandable that a passer and dribbler as skilled as Cousey has a lot of double-doubles, he rebounded well enough to and has 33-triple doubles in the NBA.